"How to make a coffee table?" is one of the first questions a beginning furniture builder might ask. Buying a coffee table that fits the interior design of your house, simple as it might seem, can be a frustrating and even daunting task. The color, type of wood, size and shape are dependent upon your coffee table needs. Moreover, purchasing an old table might mean dealing with wear and damage, and new ones can be expensive. So why not try to make one yourself? There are plenty of coffee table plans available online, and it is such a simple project that you can also start from scratch and make your own custom table. Following these easy tips, you'll be able to answer the question of how to make a coffee table easily and inexpensively. Your custom table can fit your precise specifications and help make your living room beautiful for years to come. A tape measure is a must for determining the size of your table. You'll likely need a circular saw to cut the wood. 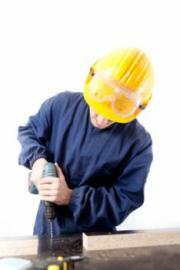 You'll also need a drill with bits sized appropriately for the type of screws you would like to use. Sandpaper will be necessary if you're working with wood that is unfinished. The final tools include the paint, varnish, or stain that will give the table the shade to fit the style of your room. The next step is to determine what type of materials you'd like to use. Some people choose to find a sturdy base made out of wood that can be covered with fake leather or vinyl. Others choose to use heavy duty blocks of glass to caulk together for a more modern look. Whatever you decide is fine--just make sure that you've prepared the correct amount of materials to save yourself an additional trip to the hardware store. 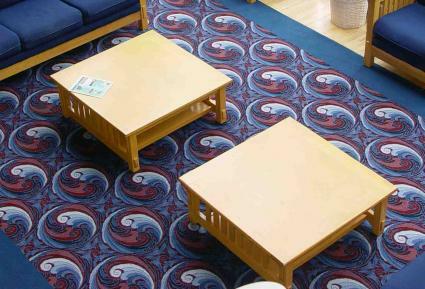 Begin your coffee table experience by choosing a high-quality piece of material for the top. Be creative if you'd like! The tabletop is what most people will see when they look at your coffee table, so think outside the box. A pre-glued top is usually a great option because it allows you to keep the wood grain on the tabletop consistent with the base of the table. All you will need to do is cut it to the proper length and width. Using a sheet of glass for the tabletop, as long as it is sturdy, also makes for an attractive option. Once you have selected the material for your tabletop, cut it to the proper size and shape, if it is not already. You'll probably need to sand down the edges in order to give your table a professional look. Once your tabletop is the proper shape, affix the top rails. These are the four pieces of wood against which the legs will rest. You might decide to do without top rails; however, they will make your table look sharp. The top rails should span the length of the table on the underside until they meet the legs. You might choose to leave a little room around the edge instead of having the top rails at the very edge of your tabletop, but it's your choice. Top rails will need corner supports to keep them from being smashed inward by accident. Mark the underside of your tabletop for leg placement. If you've got top rails, you'll already have an idea of where the legs will be placed. Top plates should be screwed into the wood at the marks where the legs will go in order to secure the legs in place. More than likely, you'll want these between one and two inches from the edge. In other words, you won't want your table legs reaching all the way to the edge of the table. Screw them into the table, screw the legs into the plates, and you're in business. Look at your work: It looks like a table, doesn't it? Now you have answered the question of how to make a coffee table and you just have to finish off the job and sit back and admire your work. The final step of the process is to paint or varnish the table. This should be done in a well ventilated area, and you should probably wear a mask to protect yourself from fumes. Old clothing is also a plus, as overspray can ruin clean clothes if you're using paint cans. Carefully follow the instructions included with your paint, stain, or varnish for the best results. Once you've accomplished what you believe is a beautiful, consistent paint job, your work is done! Let the table dry before putting it in your living room--you don't want a coffee cup to leave a round mark in the soft paint.